offering pediatric occupational therapy and speech language services to children birth to 21 years of age in the Salem and Silverton, Oregon areas. We have proudly served children and families in Salem and Silverton since August 2013. 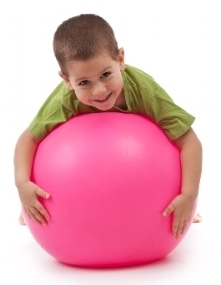 Creating Pathways therapists encourage functional independence, and healthy living skills. We strive to improve the quality of life in children living with occupational or speech-language challenges and other special outpatient needs. Our highly-regarded team of dedicated and experienced pediatric therapists offer exceptional care to children from birth to young adulthood. We work closely with families, teachers, and healthcare providers to ensure that each child achieves his or her maximum potential. Effective outpatient Occupational and Speech-Language Therapists that care. Occupational therapists are skilled in the assessment of “occupation,” which is any activity that a person does for daily self­-care, play, or leisure enjoyment. Speech-language therapy is assessment and intervention provided by a speech-language pathologist (more commonly known as a speech therapist). © Copyright Creating Pathways Therapy. All Rights Reserved.